If you use a custom color for the Windows taskbar and other UI elements then you're about to get a lot more options. 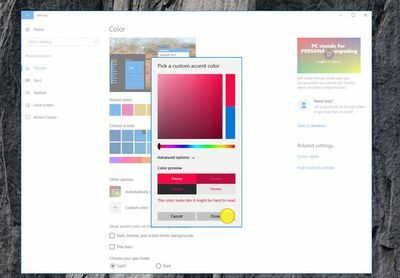 While Windows 10 offers a number of custom accent colors right now, Microsoft is going to provide a picker with advanced options and the ability to preview what your crazy color might look like throughout Windows. It's a nice change that will help people even further customize the look of Windows 10 to match a particular wallpaper or preference. Microsoft also appears to be adding video help manuals into the settings pages of Windows 10. Microsoft is going to start selling themes for Windows 10 in the Windows Store. 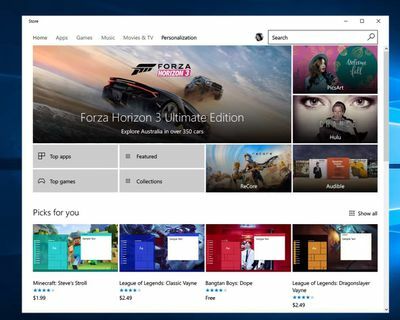 As part of the custom accent color options, the software maker is adding a "personalization" section to the Windows Store, complete with collections of themes that are designed to change the appearance of Windows 10. Some of the collections include Minecraft and League of Legends themes, and it's possible these custom themes could extend over to the dashboard for Xbox One consoles. 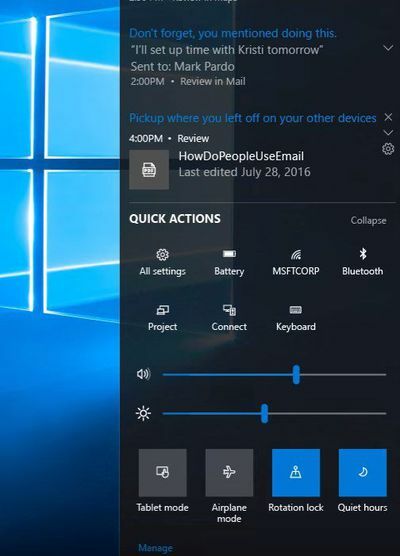 Microsoft demonstrated its new people integration into the Windows 10 taskbar, but this extends into little widgets that let you quickly send Skype or emails to your favorite friends. 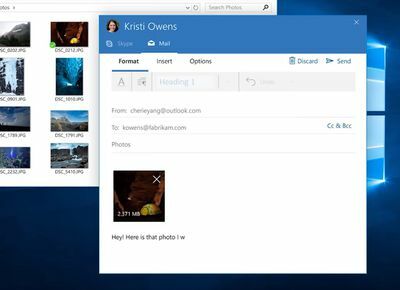 You'll be able to switch between Skype and Email within the same window, and it will be interesting to see if Microsoft extends this type of app integration to third-party app developers. 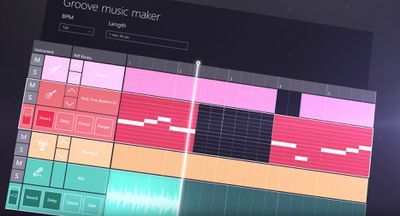 Microsoft appears to be working on a separate Groove Music Maker app. It looks a little like Microsoft's Surface Music Kit Remix apps for the Surface cover that it never released broadly. It's clearly a simple-to-use music creation tool that's designed with touch in mind. Judging by the brief demonstration, you'll be able to select riffs from a library, add sounds from different instruments, and alter the BPM and length of tracks easily. 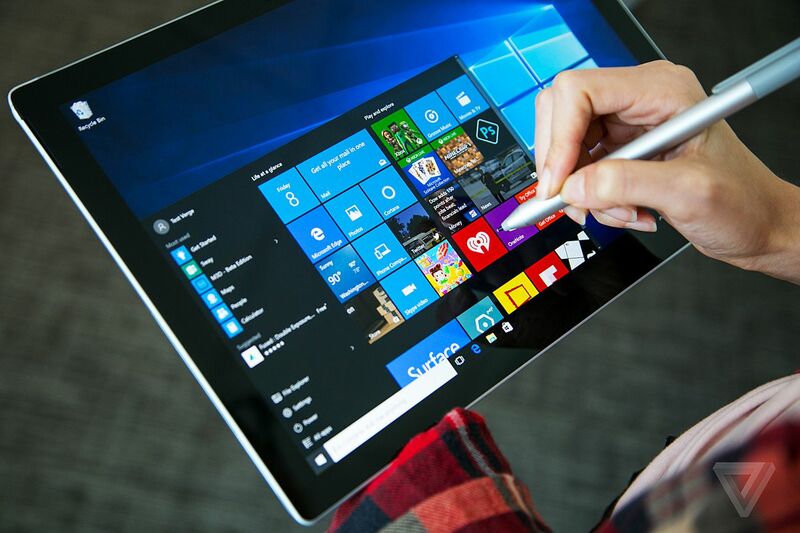 It's another example of Microsoft aiming Windows 10 at creators. Based on Microsoft's video, it looks like the company is finally bringing full pen support to Word. Microsoft teased better pen support for Word during its Windows Ink introduction earlier this year, and it looks like it's finally arriving with the Creators Update. You'll be able to manipulate and delete text a lot more easily in apps like Word, and even leave comments on documents in just ink. Microsoft appears to be making some changes to its Edge browser with the Creator Update. Edge has a tab browser option which lets you navigate current tabs by expanding the page-preview option. Microsoft also appears to be working on a session manager for Edge, allowing you to restore tabs from before you rebooted or closed Edge. This will include tabs that were open days or weeks ago. Microsoft is also updating Windows Defender in the Creators Update. 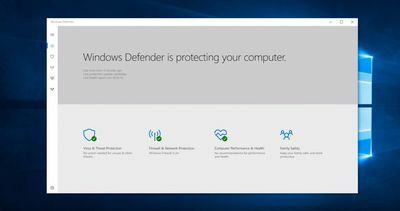 Windows Defender currently exists as a classic win32 desktop app in Windows 10, but Microsoft's video appears to show a Defender app that looks a lot like a universal app. If Microsoft does move Defender to the universal platform then it's one more step from preventing the jarring process of having to shift between these modern apps and the old desktop ones for basic settings in Windows 10.